This is the posthumous publication of a book written forty years ago in 1973. Janet Frame did not allow publication of this roman a clef novel as she was worried that the people of the city Menton in France, where the book is set, may have recognized themselves and taken offence. Like Janet Frame, the novel’s protagonist Harry Gill, is awarded a fellowship. The fellowship, Janet’s and Harrys, allows them to live and work for six months in the city of Menton on the Cote d’Azur. While Janet received the KatherineMansfield fellowship, Harry is awarded the fictitious Margaret Rose Hurndell fellowship. In the Memorial Room has no conventional plot line. Much of the novel is a stream of consciousness and as such could be seen by many as a difficult read. But this is not a negative criticism. Why should all novels be as dumb, asinine and empty as the Fifty Shades series of books? 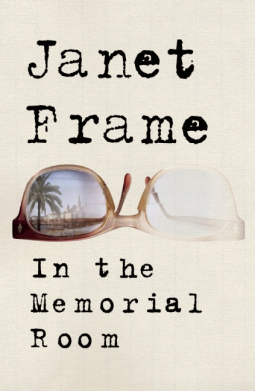 Janet Frame’s novel will stay in the memory long after Fifty Shades has receded to that dark space at the back of the memory’s filing cabinet. Her novel is a beautiful, rich, dark essay on the human psyche. It opens the curtain of our minds to shed light on the human fear of being invisible, of no longer being noticed or having our opinions matter. Being forgotten by a society that takes no interest in a person once they have hit old age. Writers too become invisible. A writer is only visible when being read. When people stop reading a writer’s work then the author becomes invisible, they cease to exist. Many of Menton’s inhabitants that Harry Gill encounters are elderly and on finding themselves invisible have utilised the death and memory of the writer Margaret Rose Hurndell to make themselves visible again. This is especially true of the Margaret Rose Hurndell fellowship’s principal donors Connie Watercress and Grace Armstrong who having been denied fame in their own career now bask in the reflected light and glory of Rose Hurndell’s fame. This brings us to The Memorial Room’s other main theme, one of being buried alive: buried in the shrouds of old age, illness or retirement. As these three events occur, many people dig their own graves by allowing these events to define who they are and wallowing in the preconceived injustice of it all. Using that feeling of injustice as a spade people tend to dig deeper and deeper into a permanent black hole. 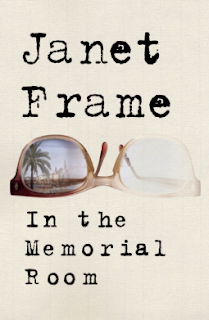 Like so many of Frame’s novels, In the Memorial Room has an autobiographical undertow. Both Harry Gill and Janet Frame craved both fame and anonymity. Both wanted to communicate with the world but not in any conventional way. Both feel alone in the world and but have people looking to seek their company. This novel will halt any chance of Janet Frame becoming invisible and hopefully will result in her being an angel at all our reading tables. 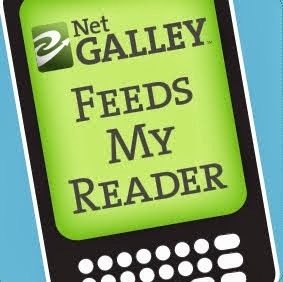 This is a review of an an advanced copy supplied by the publishers through NetGalley.com.